The holiday season is in full swing, and so much of the delicious food we eat around the holidays is food you can’t eat all of the time. I mean heavy, I’m gonna be at the gym all week if I have another bite kind of food. This recipes packs all the flavor of delicious holiday food, without the heaviness afterward. So mix it up around the holidays, or bookmark this one for the new year. Whatever you do, don’t pass it over! It’s too good to miss! 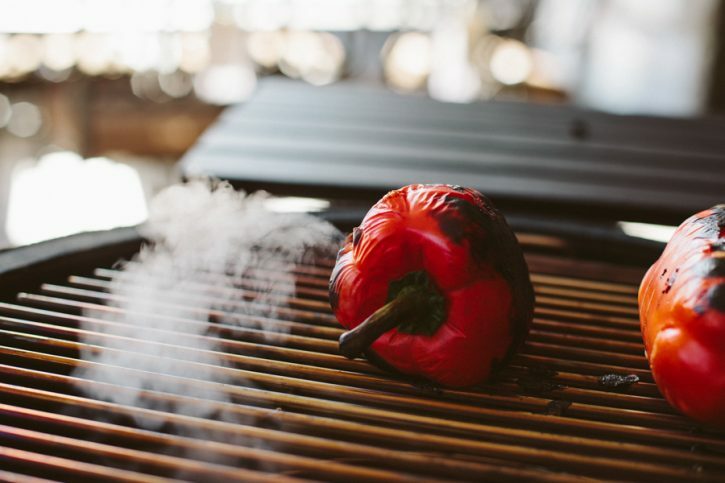 Grilling the peppers both gives flavor and allows the skin to be released from the flesh of the pepper. So, you’re left with tender, smoky and sweet pepper flavor. 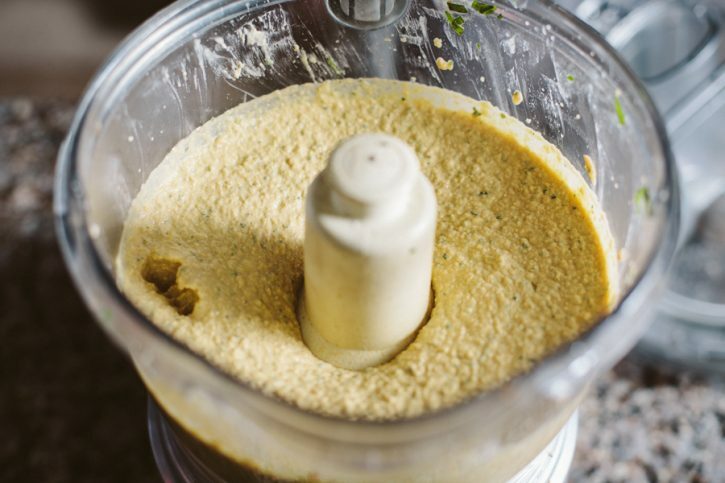 You can always count on having garbanzo beans (or chickpeas) and tahini (ground sesame seeds) in hummus. We’re adding a couple of extra ingredients to spice things up. You’ve seen the fire roasted red pepper above. We’re also adding some basil for a unique aroma. 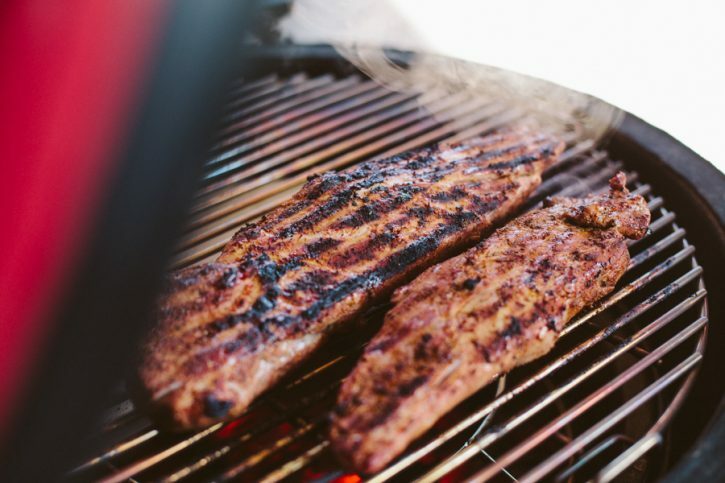 This Apple Chipotle brine from Sweetwater Spice not only adds wonderful sweet and smoky flavors, but also helps the tenderloin retain its moisture during the high heat grilling process. 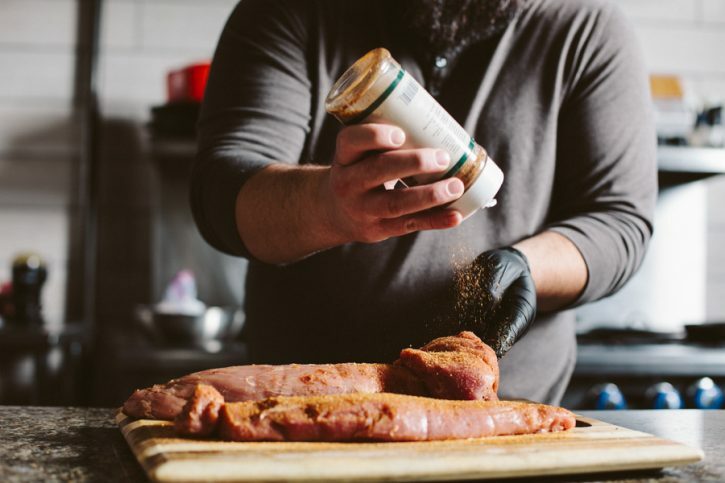 Our rub has some really nice savory flavors that complement the brine. Cattleman’s Grill Steakhouse seasoning features garlic and chile flavors, as well as some herbs. To make the hummus: Roast the red bell pepper over direct high heat, turning to blacken all sides. Place in a zip top bag and seal. Let steam 10-15 minutes. Remove from the bag. Peel the skin off of the flesh. Remove and discard the seeds and stem. Chop the flesh of the pepper. 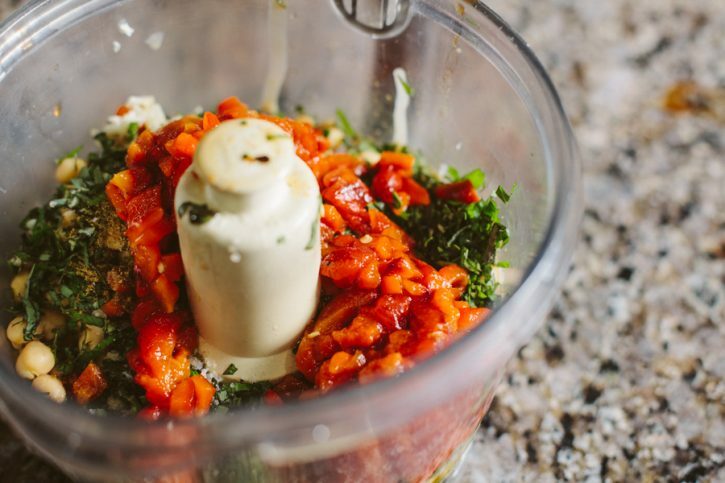 Place all remaining ingredients in a food processor or blender and process until smooth. 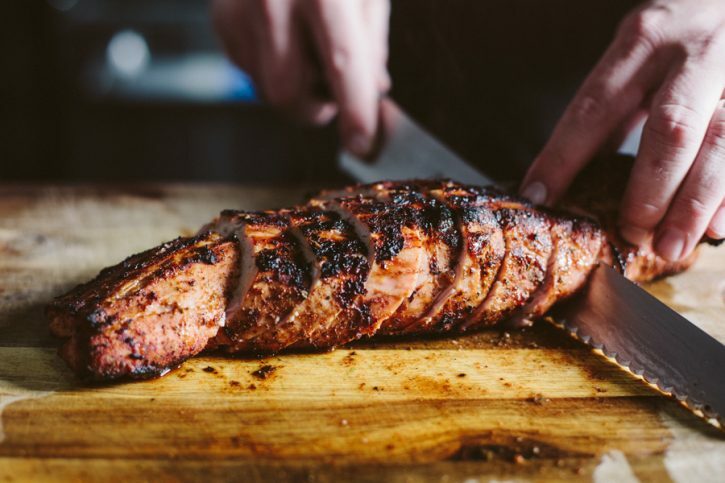 To make the pork tenderloin: Trim silver skin from the outside of the tenderloin. Place in a zip top bag or small Briner Bucket. Mix the Sweetwater Spice Apple Chipotle BBQ Bath Brine with water, according to the instructions on the bottle. 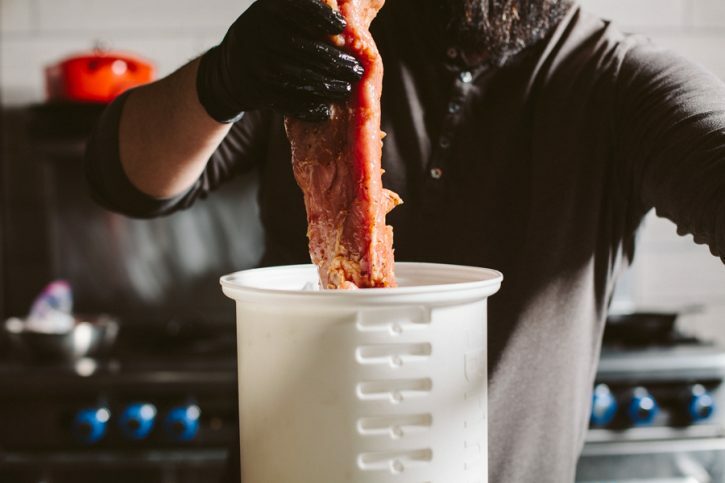 Add the brine solution to the bucket. Brine for one hour in the refrigerator. Preheat grill to medium high heat (400ºF), set up for direct and indirect grilling. Remove the tenderloin from the brine and pat dry with paper towels. Season the surface with Cattleman’s Grill Steakhouse Seasoning. Let rub set up for 5-10 minutes. Grill over direct heat to achieve nice grill marks on all sides. Transfer to indirect heat if necessary. Remove from the grill when the internal temperature reaches 140Fº. Rest 5-10 minutes before slicing.